Check out areas in Dubai that are seeing significant new supply of homes between now and the next two years. Your lower rent options are more likely to be found there. But going forward some of the pressure on rents would start being felt by locations outside of these neighbourhoods. “No area or property type is immune to this trend,” said Lynette Abad, Head of Property Monitor at the consultancy Cavendish Maxwell. “Areas with more supply are obviously impacted higher — but other established, mid-market locations are also affected as consumers are shifting and opening their options to areas they never considered before. With new supply coming into the suburban communities, we are seeing tenants shift from established communities to like-for-like product in suburban communities at a cheaper rent. So, where exactly should budget-conscious tenants be headed? Apartment rents are lower in Jumeirah Village Circle (JVC) compared to those in Business Bay or JLT. According to Property Monitor’s supply tracker, more than 3,000 units are scheduled to be completed in JVC by year-end. “JVC, Dubai Sport City and International City have all seen rents weaken with JVC weakening the most,” said David Godchaux, CEO of Core Savills. “(Interestingly) sales prices in this area have had a relative increase. 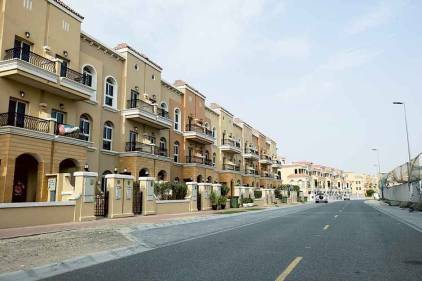 Outside of these three areas, recently completed clusters in Dubailand have absorbed rental demand from neighbouring areas and playing their part in contributing to the broader decline in rentals. The “Mira” community in Reem, for instance, absorbed some of the rental demand from Springs and Arabian Ranches, according to Godchaux. And down the road — metaphorically speaking — Dubai South looms to set its own pressure points on what the rest of the city can charge as rents. According to Core Savills data, Dubai’s original freehold destinations have had quite a bit of rental dip. The Greens cluster has seen declines of up to 12 per cent since January 2016, while for the Palm, it was 11 per cent. The DIFC residential towers have dropped 9 per cent, according to Core, while those in the Downtown and Dubai Marina both saw contractions of 8 per cent apiece.